four footsteps will remain someday. is it that i see in you what no one else sees? your melody is enticing, passive. yet corresponding notes cause a flatness to your harmony. wrapped in a parcel shrouded by faux perfection, i was blind but now i see. forced to travel to the deepest point of each newly-formed valley. We can do better, but we don't. So I'm sitting here watching this awesome episode of Oprah where she and a bunch of other people are addressing the fucked up American educational system. 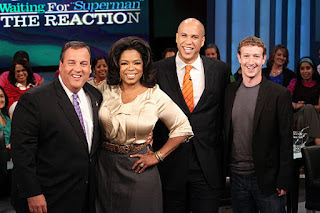 There was a big announcement buzzing around the media that has just been confirmed by the Democratic Mayor and Republican Governor of Newark, New Jersey and Mark Zuckerberg, the Founder and CEO of Facebook. Mark Zuckerberg is giving $100 MILLION FREAKING DOLLARS towards the effort of improving the struggling schools in Newark. He wanted to remain an anonymous investor, but Oprah herself, along with the politicians involved, convinced him to identify himself as the investor publicly in hopes that other rich & wealthy folk follow in his footsteps. And as I watch this I'm watching my mom cry. 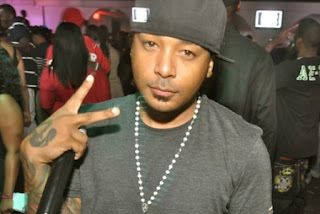 My homie Sandman (also known as ET of Hot 107.9's The Durrty Boyz) just shot me some of his new music. I think they're all awesome and I just had to post them on my blog to get the opinion of the people. Here are 3 tracks from the homie. Let me know what you think! Follow ET HERE and Hit me with your thoughts! !